Throughout recorded history, Silver bullion has been used as currency and for industrial purposes. Silver was believed to be magical in folklore and fiction. 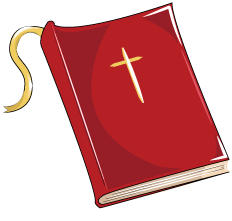 The unique properties of silver and its value to people also are chronicled throughout the Bible. The biblical history of silver adds to the intrigue of this precious metal that remains a form of money and physical wealth in modern times. The gold standard and the silver standard are terms used throughout the history of currency. The ‘silver standard’ linked the prices of silver and barley (Leviticus 27:16). 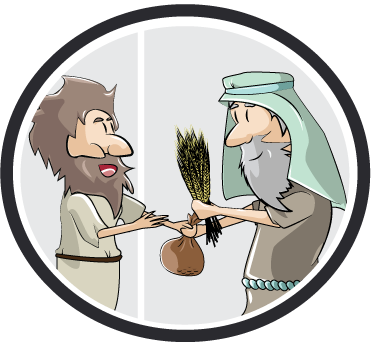 The use of money for trade goes back to Genesis, the first chapter in the Bible. 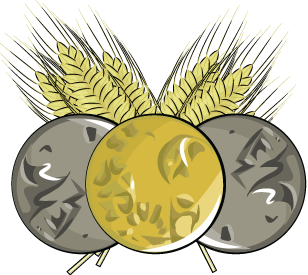 Several currencies were used in the Bible, including gold, silver and barley. Silver was popular for everyday use because it was scarce, but not as scarce as gold – and more durable than barley. 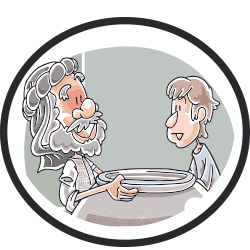 In early biblical times, ‘money’ just meant pieces of silver that were checked for purity with a touchstone and weighed out when a transaction was made (Jeremiah 32). Money belonged to the people. Silver was used for trade and transactions while gold became a way to hold and preserve wealth. The biblical history of silver preceded modern currency as we know it. Gold was referred to as good in the land of Havilah (Genesis 2:10-12) and became the foundation of a solid economic system. Coins were probably not introduced to the Israelites until the 5th or 4th century BC – and with them, routine state control over money. The denarius that Jesus held in Matthew 22:19 was a perfect example of the dangers of this. When it was first minted around 211 BC it was made from almost pure silver and weighed around 4.5 grams, but over the years both its size and purity were reduced. In Jesus’ time it contained around 3.9 grams of silver, and later in the 30s AD the emperor Nero further reduced the silver content. 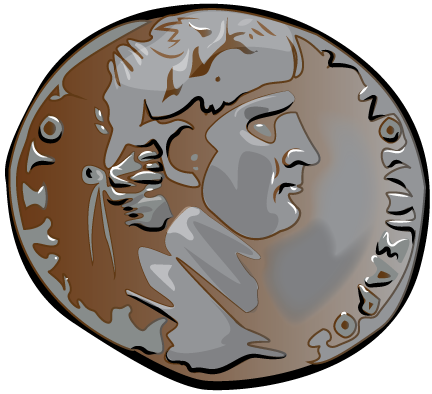 By the middle of the third century AD it was a copper coin with no more than a thin plating of silver. 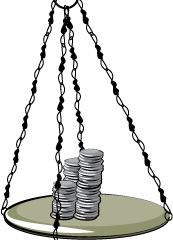 One silver denarius was the standard rate of pay for a day’s labour (Matthew 20:2). People commonly used silver vessels to hold wine and water. Today, scientists recognize silver has antibacterial properties that help keep food and liquids fresher. Long ago, people recognized the benefits provided by silver for food and beverage storage. Ezra refers to silver vessels in the house of God that were taken from Jerusalem by Nebuchadnezzar and brought to Babylon (Ezra 5:14). They were supposed to be placed in the house of God in the temple in Jerusalem. This reveals their historical use and value. Silver was resistant to inflation. 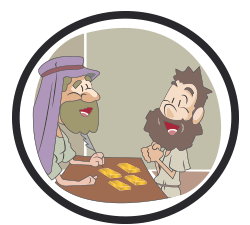 Jeremiah paid 17 shekels for a field (Jeremiah 32:9), and Zechariah 11 records the prophet throwing 30 silver pieces to the Potter in the Temple; nearly six hundred years later, Judas’s 30 silver pieces bought the Potter’s field (Matthew 27:9-10). 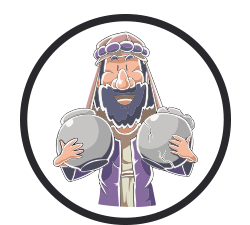 At a rate of 2% inflation, the target rate for many governments today, the field Jeremiah purchased for 17 shekels would have cost around 2.5 million shekels by the time of the crucifixion. 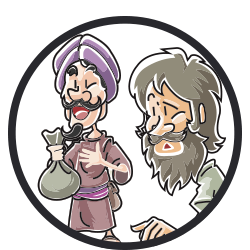 After stealing from Jesus for over three years, Judas betrayed him to the Romans for thirty pieces of silver. This moment had been prophesied in Zechariah (Zechariah 11:12-13). Judas was handed thirty pieces of silver for delivering Jesus to the Romans, who crucified him. This is one of the less “shiny” moments in the biblical history of silver.